Unfortunately, there will be no Pick-Up service during the Kick-In 2019. Instead of this Pick-Up service, a travelguide is developed which can be found here. Can I also come to Enschede by myself? Sure, it isn't that difficult! You can take the train to Enschede by yourself. If you want to prepare for this journey, please check the sites below. Journey planner Dutch Railway (NS) - Use this website to plan your journey and to see how much the train ride will cost. Route description and campus map - On this website you can find a route description to the University of Twente and map of the campus. 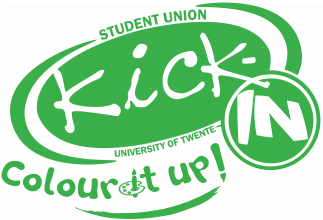 When you arrive at Enschede station, you can take the bus 1 to the campus of the University of Twente. When you arrive at Hengelo station, you can take bus 9 to campus or to the city centre of Enschede.